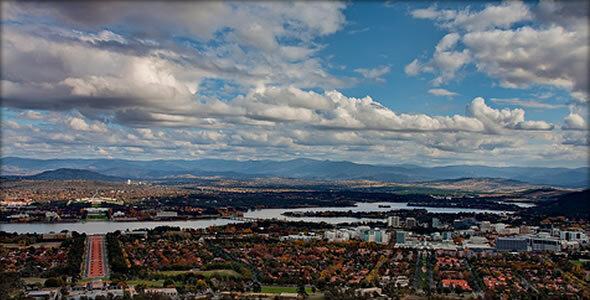 Despite the southeast coast of Australia being the most populous and the most popular with tourists, many visitors speed by Australia’s capital city of Canberra on their travels. Others don’t even realise that Australia built Canberra in 1913 for the purpose of being a new capital to stop the rivalry between Sydney and Melbourne. But no true Australian itinerary is complete without a peek into the orderly streets of Canberra. On first glance, some may find the city a little bland. Despite its straight-laced planned layout and the fact that much of it (including Lake Burley Griffin) is artificial, once you get a feel for the place you’ll quickly find the Canberra charm is undeniable. While yes you can head for the traditional high street shopping in the commercial district, why would you when Canberra has so many fantastic Markets? There’s the Old Bus Depot Market which is held every Sunday and a great place to pick up arts and craft souvenirs for your friends and family back home. Come hungry, though, as there are plenty of food vendors offering up lunch and farms selling homemade products also offer up samples. Yum! If antiques is your thing, you can’t miss the Canberra Antiques Centre east of the city centre in Fyshwick; it’s piled high with fun and funky clothing, art, and all sorts. I kind of feel like it’s a museum in its own right. If you go on Sunday you can also visit the Fyshwick Market. Alas if you can’t make it out to Fyshwick, then check out the Gorman House market on Saturday, which is a bit closer to town and has loads of great antiques. Alas, if you can’t find what you need at the markets, there’s always the Canberra Centre or City Walk. For a relatively small city, Canberra is just packed full of museums. I suggest you start at the National Capital Museum, which not only offers a great view over the city centre, it also gives a history of how Canberra came to be and more details on its planned layout. Another must-see is the Australia War Memorial, which isn’t just a war memorial but in fact a world-class museum. It is focused on Australia’s military history, which may sound like a snooze, but the wide range of collections offer a bit of something for everyone. Lastly, you can’t miss out on exploring both the Old Parliament House and Parliament House of Australia — even though Canberra is quite young, the parliament moved to the new building in 1988. When the new Parliament was built it was the most expensive building in the Southern Hemisphere, but once you see it you won’t question the cost. It is simply stunning, especially at night. This is Australia, after all, so there is no shortage of great views and outdoor scenery. After checking out the Parliamentary views, you should head out of town and see the view from the Black Mountain Tower, a communication tower just a few miles from town. It’s got sweeping views of the city and there’s even a café/restaurant at the top. Back in town, head straight for the National Botanic Gardens, which has the largest collection of native Australian flora in the country. Check your travel dates to see if you can catch one of their famous jazz evenings – truly a spectacular event, they are free; don’t forget to pack a picnic! Being the capital, Canberra is relatively easy to reach via air, bus, or train. Check out the four hour direct train service from Sydney; it’s better than driving and you’ll pass though the Southern Highlands of New South Wales, a gorgeous spot of land, especially when the train crosses through the Molonglo Gorge.